Vital Farms was established by Matt O’Hayer in 2007. Matt, a serial entrepreneur with a solid business track record and his spouse Catherine established a small farm on a 27 acre property they owned near Austin, TX. At the onset of his enterprise, O’Hayer elected to follow U.K. standards applicable to outside access for pastured flocks allowing each hen a minimum of 108 ft2 of outdoor pasture. Initially, moveable shelters were used followed by a hub-and-spoke approach, then allowing outside access to pasture from each side of a barn. O’Hayer’s first wave of eggs found their way to a variety of restaurants in the Austin area. 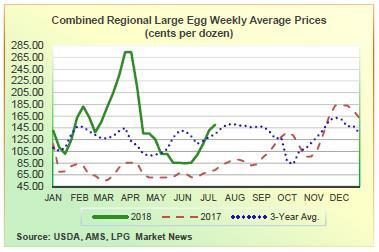 But at the price he needed to charge, supply exceeded demand and the local food bank ended up with a steady supply of these eggs. 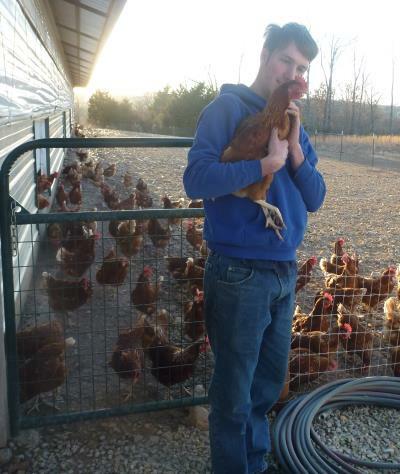 Then Whole Foods Market requested Matt to provide his eggs from pasture-reared hens for their Midwest region. Other regions soon followed. In 2009 Vital Farms added contract farmers to expand the operation to accommodate growing demand. In 2017 a state of the art packing and distribution facility was erected in Springfield, MO. to take advantage of the availability of contractors in northwest Arkansas, southwest Missouri and Oklahoma. Vital Farms produces USDA-certified organic, non-GMO certified eggs and conventionally-fed eggs, all from hens on pasture. Vital Farms operates a contract system with farmers. Feed and starter pullets are purchased from designated suppliers and Vital Farms contracts to purchase and collect eggs. Payment is effected bi-weekly with reimbursement in arrears for pullet depreciation and feed consumed. Vital Farms currently contracts with 120 farmers predominantly within a 100-mile radius of the Springfield, MO, plant, with most of the feed supplied by a nearby independent mill. Organic feeds are supplied by a separate mill, also located nearby. The customer base, has expanded continually since 2009 and now includes major supermarket chains in addition to the foundation customer. In October 2017, Vital Farms initiated a promotional campaign emphasizing the 108 ft2 allowance for each hen on pasture. They criticized the widely misunderstood and sometimes misleading “cage free” labeling as “bulls**t”. The campaign raised eyebrows, if not hackles, although the message that Vital Farms allows extensive outside access to pasture was clearly understood by their customers and most consumers. Flock sizes range from 2,300 birds to as many as 14,000 birds. Most flocks are between 3,500-5,000 birds, with some farmers owning multiple flocks. It is estimated that supply farms hold on average 5,000 hens given the restraints of extensive outside access. Pastures are fenced to restrict access by terrestrial predators and are regularly rotated. The median flock size of 5,000 hens requires close to 14 acres of pasture per barn. To maintain quality standards, Vital employs a team of service people who visit farms on a regular basis to ensure compliance with company procedures and to provide support and advice. A team of auditors conduct quarterly reviews of farms in addition to 3rd Party auditing by certifying agencies and by customers. The new plant located close to the Springfield, MO. airport was commissioned in September 2017. The SQF Level 3 facility extends over 86,000 ft2 and includes a pre-processed cold store, dry-storage for packing material, a central packing area, a refrigerated finished-product store, loading and offloading bays in addition to a canteen and facilities for staff. The plant is built to the highest standards of finishes corresponding to best practices observed across the U.S. and E.U. Vital Farms uses the EggsCargoTM egg conveying system to transport nest run eggs from farms to the plant. To promote biosecurity, egg flats and pallets are decontaminated after each delivery. The plant is equipped with a Moba 530 grader installation with a complete package of detectors to ensure optimal quality. Since initiation of production, management has achieved advances in plant efficiency and quality.